Avid, the Massachusetts-based creator of pro-level hardware and software for multimedia production, has unveiled a precision video editor for the iPad. 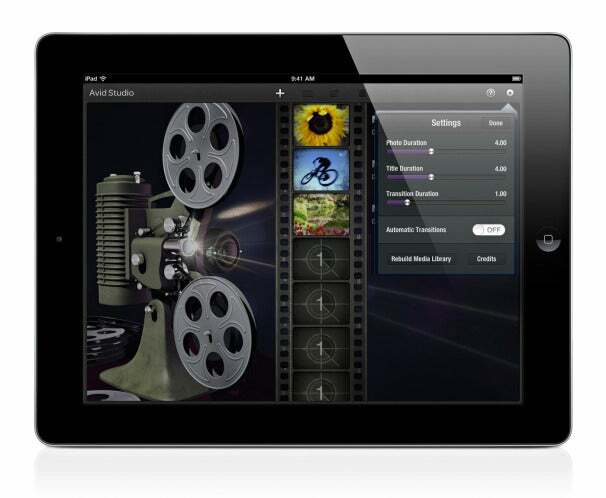 Avid Studio for iPad launched Thursday in the App Store. The app lets users take raw videos, photos, and audio in their iPad library—or accessed from a separate iPad camera connection kit—and arrange them into a slick-looking movie; the app can also use the iPad 2's camera to directly capture raw video. Those videos can be shared directly to YouTube or Facebook, or exported to a user's Windows computer for further editing using only the company’s Avid Studio for PC software. Avid Studio for iPad appears similar—in both price and capabilities—to Apple’s own $5 iMovie app, though it lacks iMovie’s compatibility with the iPhone and iPod touch. Both apps use the tablet’s multitouch screen to offer pinching-and-zooming for frame-by-frame editing of video clips. Avid also offers a number of 3D animations among its transition and title templates. The launch of Avid Studio for iPad means that the fierce desktop video-editing rivalry between Avid and Apple's Final Cut Pro—both companies routinely tout the number of Oscar and Golden Globe nominees who use their editing products—is now playing out on Apple’s own tablet playing grounds. Avid is being aggressive, suggesting its new iPad app is powerful enough for professional use; Apple's iMovie is aimed more at consumer-level editors—the company doesn't offer a tablet version of its Final Cut Pro app. 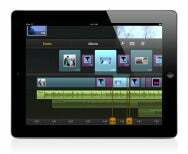 Avid Studio for iPad costs $5, and is compatible with iPads running iOS 5.0 or later.